Sounds amazing, doesn’t it? Of course, it does – no more wasting time and circling around while desperately trying to find a free parking space. Instead, wherever you go, you’ll be able to find a small spot for your bike and thus make sure that you’ll arrive everywhere on time. Additionally, once you get your new bike, you’ll be able to say goodbye to all traffic congestions and unexpected delays. Not convinced yet!? Okay, just wait and see what else we have to say. Another important reason why you should get a bike is your health. This way, you’ll practically exercise every time when you decide to go somewhere since even short rides can be seen as a form of workout and they can do wonders for your health. 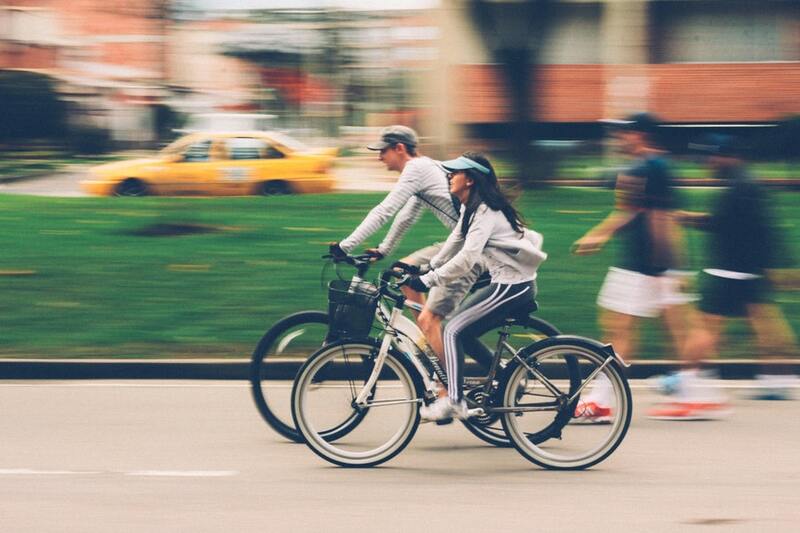 For example, it’s widely known that biking can significantly reduce the risk of coronary heart disease and help you relieve all the accumulated stress that can trigger many health issues. Finally, biking will help you lose those extra pounds without putting too much effort into it and thus help you stay in excellent shape. Just imagine – no more bus fares and no more spending money on gas! Instead, all you would have to spend is a bit of your energy on pedalling. Furthermore, bikes are much less expensive than cars, so you won’t have to be saving for months or even years in order to be able to afford one, especially if you visit an amazing online bike store which has a vast variety of goods to offer giving you the chance to choose the best bike according to your needs. Nowadays there are more and more obese children and one of the main reasons for that is the lack of physical activity. So, instead of making your child get used to being driven to school, buy them a bike and go ride together. Not only will you help your child stay healthy, but you’ll have a chance to spend some quality time together. Additionally, once your child start enjoying this activity, they’ll be less likely to spend their free time inside glued to a computer screen. Have you ever wondered how much you’re missing when you’re in your car? Not only do you have to stick to roads, but you also have to concentrate heavily on traffic and therefore you don’t really have time to look around and enjoy the surrounding. On the other hand, riding a bike gives you a chance to stay off the roads and truly examine your neighbourhood. You’ll be surprised to see how many things you’ll discover this way. So, if it happens that you come across a river that you’ve never seen before, don’t be too surprised, at least you haven’t overseen an ocean. Another perk of regular biking is a lot of Sun exposure. Owing to it, you won’t have to fear a lack of Vitamin D anymore, especially in winter when we tend to spend much more time inside and thus end up being exposed to sunlight only on our way from our car to the house and vice versa. However, not only does vitamin D have a huge impact on your heart condition and your health in general, but it’s extremely important for your mood as well. It’s well known that the lack of this vitamin can lead to mood swings and even depression. Finally, if you want to be able to fall asleep the moment you lie down, start cycling. This way, you’ll keep your body in balance relieving all the stress that can keep you awake during the night. Additionally, enough of sleep is crucial for your health and keeps you young longer. 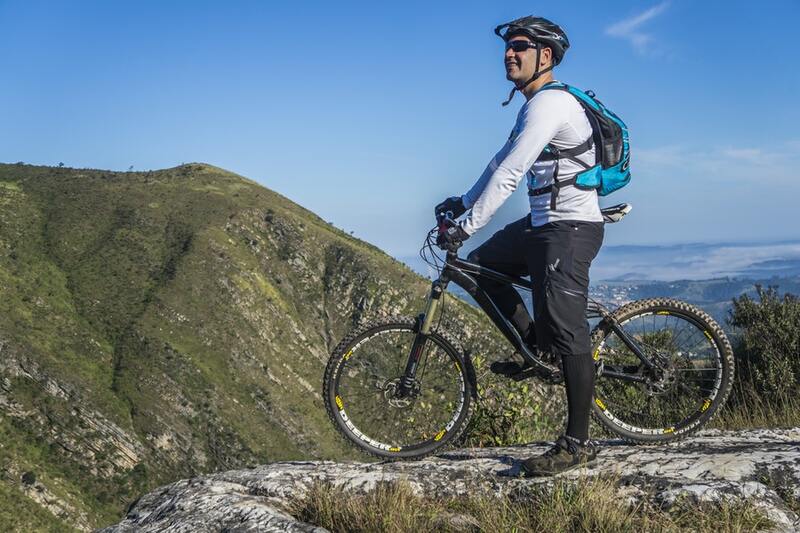 Therefore, if you want to stay fit and feel young, it’s high time you got a bike and started enjoying the ride. As you can see, the benefits of riding a bike are numerous. It will help you stay in good condition and give you an opportunity to really enjoy yourself. Finally, you won’t have to worry about parking anymore and you’ll certainly save a lot of money as well. Let’s ride! HSE - Help Me Please?